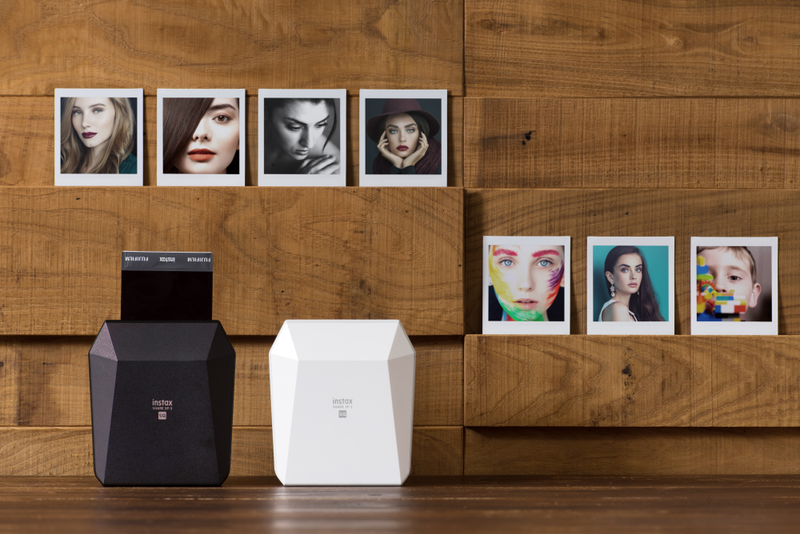 Fujifilm launched a printer which can handle printing jobs from your smartphone – Instax SHARE SP-3. Back in July, 2016 the instax SHARE SP-2 was launched following consumers request of a printer that can print images from their phone. Recently according to the news made public by Fujfilm, instax SHARE SP-3 will be available come November 17, 2017. And the SHARE SP-3 will have more features compared to the previous release. The SHARE SP-3 can print pictures in square formats – instagram images right from your phone. Printing takes about 30 seconds to complete. Quick printing from phone connected using a LAN created with a dedicated application. High-resolution images having a density per inch of 318. Resolution of 800 x 800. Image intelligence from Fujifilm which adjust image brightness for optimum delivery. 13 seconds image print time. My Template: Allows the user to adjust the font color, font size and transparency when adding their own text to the images. Collage Template: Enable users create merged photos to form a collage. Split Template: Users can split a single image into two instax prints, and the idea behind this is for printing beautiful photographs, such as scenic pictures, at double the usual size. SNS Template: After sharing a picture online, users can also print them using SP-3. That is to say instax SHARED SP-3 can print already shared images even with the number of like or reaction the image has. Real-Time Template: This templates supports adding, time, location, weather condition to an image you want to print and it recommended for uses such as creating holiday memories or recording a baby growing up. Battery last up to 160 images print time.